Since the FDA’s 2002 approval of Benicar (olmesartan medoxomil) as a treatment for hypertension, medical studies have continued to reveal serious, sometimes life-threatening side effects of the drug. The agency has responded by issuing a number of safety announcements and requiring significant changes to the Benicar label. Benicar manufacturer Daiichi Sanyo originally informed the FDA that patients in clinical trials of the drug reported dizziness as its principal side effect. The manufacturer told the agency that Benicar patients were approximately three times as likely to report dizziness as were patients taking the placebo – 3% vs. 1% overall. But dizziness quickly was replaced by far more serious complications among Benicar users. By 2007, diarrhea, nausea, vomiting and similar symptoms were being reported by patients taking Benicar. These are often signs of Celiac disease, which damages the lining of the small intestine and prevents the body from absorbing important nutrients from food; it is often associated with an allergy to gluten found in wheat, barley, rye, and other grains. When the FDA analyzed the reports, however, it found no definitive evidence of Celiac disease among patients taking Benicar. The physicians had already been studying patients with a particular type of gastrointestinal disorder known as “collagenous sprue.” When they learned that one-third of the patients who had recently been diagnosed with the condition had also been taking Benicar, the researchers began to look even more closely at the possible association between use of the drug and the gastrointestinal (GI) symptoms. As a result, the doctors examined records of Mayo Clinic patients going back to 2008, and continued their study through 2011. Patients lost as much as 125 lbs., with a median reduction of 40 lbs. Thereafter, the FDA reviewed the documentation it had received concerning Serious Adverse Events associated with Benicar use. In 23 cases, patients taking Benicar had experienced significant weight loss and very serious diarrhea. Like the patients in the Mayo Clinic study, the patients reporting to the FDA stated that their symptoms either resolved entirely or became significantly less serious once they ceased using Benicar. In addition to the studies finding gastrointestinal side effects from Benicar, researchers explored a variety of other complications for possible association with use of the drug. In June 2010, the FDA reported on two ongoing clinical trials regarding the effectiveness of Benicar in reducing kidney disease among patients with Type 2 diabetes. Patients in the trials who were taking Benicar had significantly higher death rates from cardiovascular events (heart attacks, strokes) than did those taking the placebo. 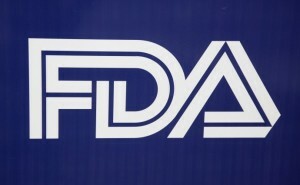 In April 2011, the FDA issued a follow-up communication concluding that “the benefits of Benicar continue to outweigh its potential risks when used for the treatment of patients with high blood pressure according to the drug label.” The agency did not opine further on any association between Benicar use and an increased risk of heart attack or stroke. A number of additional medical studies have caused the FDA to require new warnings on the Benicar label. Patients, families, and health care providers will no doubt continue to monitor the FDA’s ongoing review of medical studies regarding Benicar side effects.